A list of over 100 nominations for Canadian made games has been boiled down to the top 25 of 2012. The list is impressive. 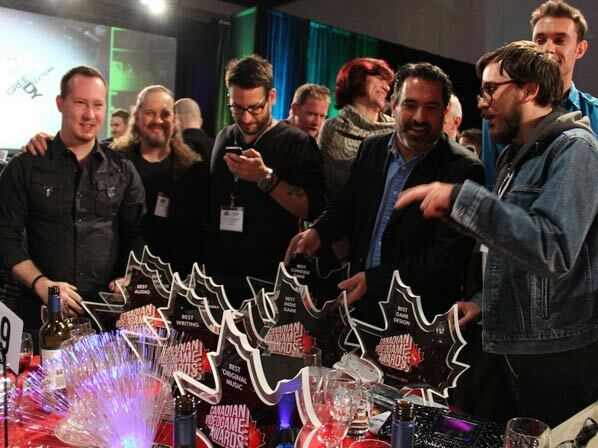 On April 20, 2013, Canadian developers will converge upon the Vancouver Convention Center to see who will return to their studio with prize in hand. For a second year, the award show will be held in conjunction with Fan Expo 2013 and it will be televised across Canada shortly after. Another similarity to last year is that the host will be an industry icon. Elias Toufexes has been in many hit games like Assassins Creed, the Splinter Cell series and he was most notably last year’s CVA Best New Character as Adam Jensen in Deus Ex: Human Revolution. This year’s list of finalists is star studded. Vancouver’s own United Front Games was nominated in 12 categories for their open-world, Hong Kong based, action adventure game – Sleeping Dogs. They are finalists in 5 major categories including Best Console Game, Best New Character, Best Animation, Best Writing and Best Original Music. Vancouverites should be proud of our dev scene as three of five finalists for the Best Technology are from local companies, which include Piranha Games for Mechwarrior Online, Radical Entertainment for Prototype 2, and EA Sports for SSX! Nun Attack (Frima Studio) – The Nun Squad! Tickets are available for the public here http://www.canadianvideogameawards.com/ where you’ll also find more event details and the complete list of Finalists. Be a part of the Canadian Videogame Awards by casting your vote for the 2013 Future Shop Fans’ Choice Award here www.canadianvideogameawards.com/game-of-the-year/. I’ll be live-tweeting at the event so that you can get in on the behind the scenes action!